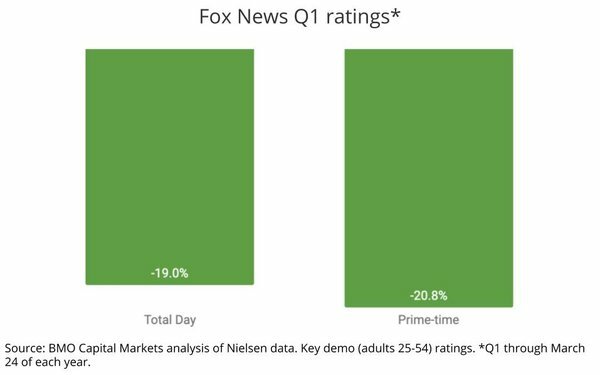 The future of Fox News may be its direct-to-consumer play, Fox Nation. In a post-21st Century Fox analysis sent to investors today, the equity research team at BMO Capital Markets makes a strong case for the new Fox Corp., especially for Fox News’ long-term prospects, despite some recent erosion of its traditional TV and advertising base. The network’s linear TV ratings fell 19% on a total day basis and 21% in prime-time during the first quarter on a declining universe of cable subscribers. And while it still commands a significant ratings lead vs. CNN and MSNBC, thanks to its rapt audience base, it has begun taking hits from advertiser pullouts surrounding its most controversial prime-time personalities, especially Tucker Carlson and Jeanine Pirro. That said, BMO appears to be long on Fox overall and Fox News in particular, especially as it expands into its news direct-to-consumer subscription model. 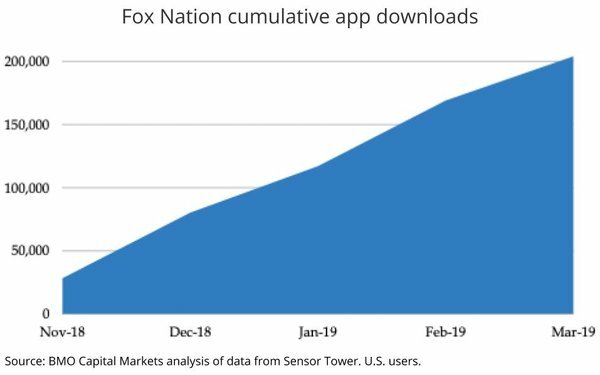 Fox Nation, which launched last November and is priced at $5.99 per month or $64.99 per year, features the same well-known Fox News personalities that sustain the cable news channel, and so far it appears to be tracking above expectations. 1 comment about "Future Of Fox News May Be D2C, 'Nation' Exceeds Expectations". Nicholas Schiavone from Nicholas P. Schiavone, LLC, April 10, 2019 at 8:32 p.m.
indicate that the Fox News D-2-C play is a pipe dream. It is product quality and utility that matters most electronic journalism. At FNC, it is all missing. and no bargain for consumers.